Conor receives instruction, including ABA based instruction, at Leo Hayes High School, a neighborhood school. He interacts with other students in the Resource Center and in common areas of the school. 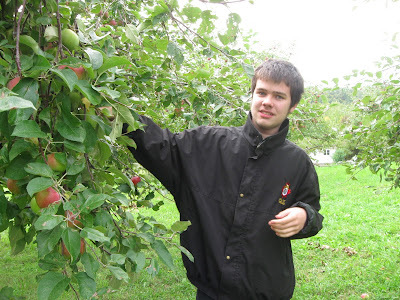 He also gets to go on school outings to places like the pool at his former middle school and recently went apple picking with other students and with a Teacher Assistant who was kind enough to take, and forward, some excellent pictures. And, oh yeah, Conor loves apples. We go through a lot of them at home. Congratulations to New Brunswick's new Premier David Alward and all members of his team who were elected. Congratulations also to those Liberals who were elected despite the obvious backlash against the Liberal government of Shawn Graham. I offer all these congratulations sincerely even though I know that the election of this government and the likely cabinet role to be played by Jody Carr and possibly his brother Jack Carr will spell the end of the progress that has been made in helping autistic preschoolers and students in New Brunswick over the past 4 years. We live in a democracy and the people have spoken. Those elected, including the Carr brothers in their ridings, have received the endorsement of the people. For this they deserve the hearty applause of all NBers including me. Having offered these sincere congratulations though I must also state that the Carr Family will exercise a profoundly negative influence on the future of autistic preschoolers and students in New Brunswick. Their prominence will threaten existing programs of early autism intervention, autism trained Teacher Assistants and accommodation in alternative learning environments within neighborhood schools for autistic children and other children whose severe disability challenges make the mainstream classroom a negative, and in some cases, a harmful environment. 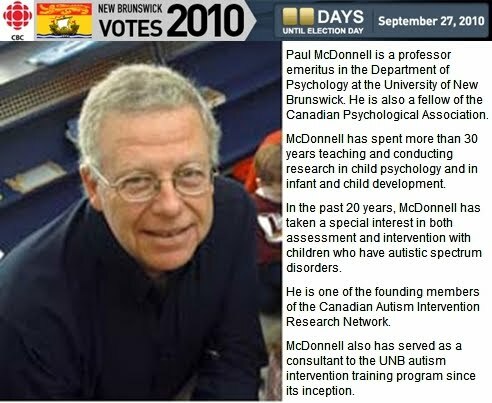 I know these things because I was actively involved, along with other well informed, determined parents of autistic children, in the struggle to establish the preschool and school programs and policies that have made New Brunswick an autism leader in early intervention and education in Canada. I know these things because throughout the years of struggle we were steadfastly opposed by the New Brunswick Association for Community Living to which both Jody and Jack Carr are intimately tied. The NBACL has done much good in raising public awareness about disabilities generally, promoting acceptance of disabilities generally, and acceptance. The problem is that the "community" and "inclusion" principles of the Community Living organizations in Canada and in New Brunswick have hardened into resistance to accommodation of those with severe autism challenges and other individuals whose disabilities require accommodation and learning in different environments ... a separate quieter environment outside the mainstream classroom ... than that which NBACL and CACL insist upon for ALL students regardless of their specific disability and their specific challenges and needs. The fine principles of the NBACL have deteriorated into dogma and ideology and Jody Carr, his wife Krista Carr and Jack Carr have all , in the past, resisted efforts of parents seeking to help their autistic children. The Carr's have resisted evidence based approaches to early intervention and education of all children with disabilities, including autistic children, in favor of cliches. There is no room for compromise or accommodation in the Community Living based ideology which the Carrs promote. For them It is the community cliche way or the highway. Adult autism residential care is one of the areas in which little progress has been made in New Brunswick. 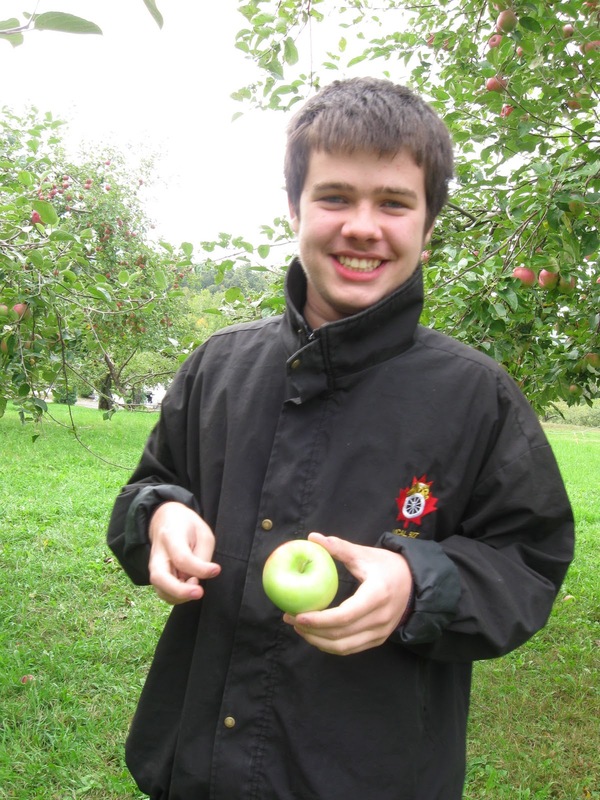 5 years ago the Bernard Lord Conservative government sent an autistic youth to the Miramichi Youth corrections facility for several months while he waited a place at the Spurwink residential treatment facility in Maine. When Jody Carr vetoes efforts to create a professional, evidence based and compassionate residential care and treatment facility in New Brunswick he says that "we will not send them away" do not be fooled, do not believe him. In 2005 the Lord Conservative government sent them, autistic youths and adults, away to Maine and to outmoded psychiatric facilities, even to hospital wards and Jody Carr, a Conservative MLA at the time, said nothing .... absolutely nothing. 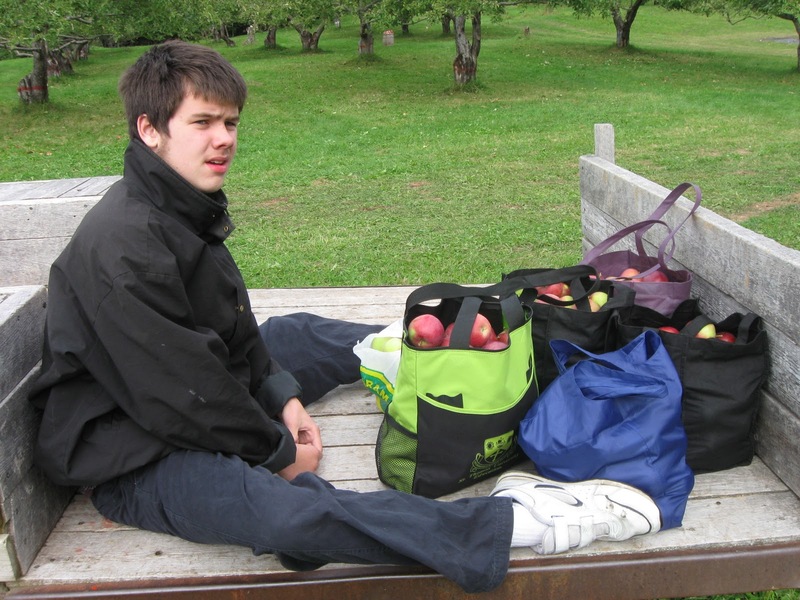 For New Brunswick children and adults with autism the Alward Carr years will not be pretty. There is a rough trail ahead, a very rough trail. Today New Brunswickers will vote. We will come together and decide who will represent us in the legislature. This is the most important decision we, citizens in this province, will make for the next 4 years. If news reports are true many will vote in anger or cynicism or out of a desire to punish the governing party. That is their democratic right. That is your democratic right. I ask you though, as the father of an autistic son, to not let anger determine the future of your family member with autism. Please vote FOR our autistic loved ones, family members and family friends with autism. Please do not vote in anger or cynicism. Vote for the party that, over the past 4 years, made New Brunswick a leader in preschool and school autism services in Canada. Please do not vote for a party attempting to capitalize on anger. Do not vote for a party which will give New Brunswickers cliches like "community", "inclusion", and "connecting the dots" but will dismantle the evidence based programs that have been built and helped our children. Do not vote for a party which will dismantle New Brunswick's Canada leading evidence based early intervention and education system. Please do not vote for anger and the Conservative Party. Please vote Liberal ... for the continuation of solid autism programs that have benefited our children. If you are the parent, family member, or family friend of a child with autism who is being educated or assisted at a neighborhood school by an autism trained Teacher Assistant and autism trained Resource Teacher, as I am, please remember that these services resulted from an extraordinary promise made ... and kept .... by Liberal leader Shawn Graham who kept that commitment as Premier once his Liberal party formed the government. My son Conor, and many other autistic school children in New Brunswick, received the benefits of that promise and the UNB-CEL autism trained Teacher Assistant instruction and individual instruction program put together with the help of autism trained Resource Teachers. Thank you for your letter and for sharing your concerns with me. In our Liberal election platform that will be released this week, we are committing to the implementation of the recommendations of the Interdepartmental Committee on Autism released in November 2001. Although we realize this document is now nearly five years old, it does provide a basis on which to develop, in partnership with the stakeholders, a strategy that will assist children with autism from early childhood and into adulthood. As well, we will take two concrete steps to address the immediate needs of children with autism in two areas: a case management process and UNB-CEL autism training. 1. Integrate services for young children and their families by enhancing and expanding the Early Childhood Initiatives Program to ensure a smooth transition into public school for children identified as at risk or those with special needs, such as autism. 2. Provide UNB-CEL autism training for 100 additional teaching assistants and Methods and Resource teachers each year for four years. I commend you and the members of the Autism Society of New Brunswick on your tireless advocacy on behalf of children with autism. You are truly making a difference in many lives. Please feel free to contact me at any time. I am very worried that the gains made for autistic children and students and work done towards a modern, decent residential care and treatment system for autistic youths and adults will be lost if the Conservatives are elected. On his facebook page Jody Carr, who will have a prominent role on disability issues if the Conservatives are elected, has made it very clear that the Conservative era of community cliches will replace evidence based, reality based, services and accommodations for autistic children, youth and adults. Even worse Mr. Carr had the gall and audacity to dismiss the recommendations of autism expert Dr. Paul McDonell for a rational, professional, adequate autism residential care system with the political sound bite that his party would not "send them away". Mr. Carr's memory seems to have failed him. He was a Conservative MLA during the last term of the Bernard Lord government when autistic youths and adults were sent away to Centracare even to hospital wards. It was that same Conservative party, of which Mr. Carr, and Mr. Alward, were members that formed the government when an autistic youth was sent to live on the grounds of the Miramichi Youth correctional facility. The youth had not committed a crime. He had not even been charged with or suspected of having committed a crime. 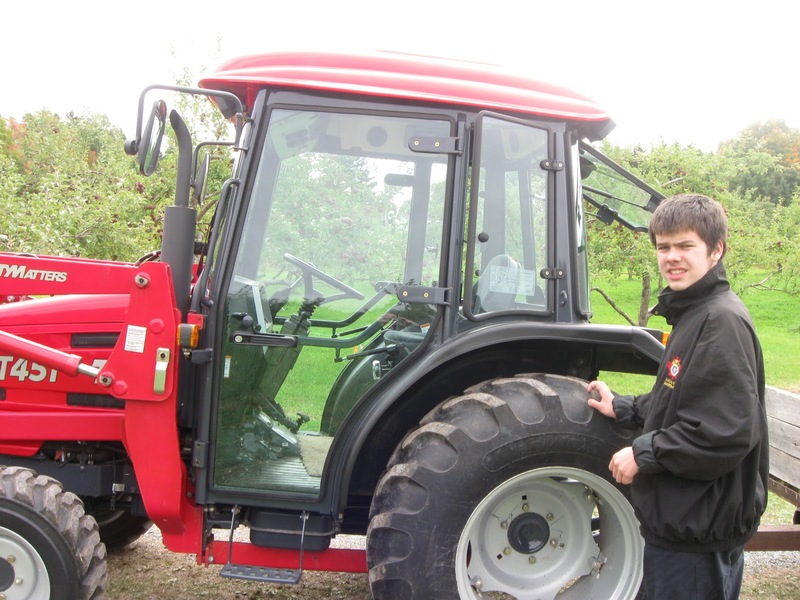 He was autistic and had very serious challenges and there was nowhere in Mr Carr's community for him. He was housed in a youth jail facility while awaiting export to decent residential care and treatment out of the country in Maine. HALIFAX—A 13-year-old autistic boy now living in a New Brunswick jail compound will be sent out of Canada because there is no home, hospital or institution that can handle him in his own province Provincial officials confirmed yesterday the boy is living in a visitor's apartment at the Miramichi Youth Centre and will be moved to a treatment centre in Maine by November. They stressed he is not under lock and key, has no contact with other inmates and is living outside the high wire fence that surrounds the youth detention centre.Nevertheless, the jailhouse placement and the transfer to Maine have outraged mental health advocates and opposition critics. "They put this boy in a criminal facility because he is autistic," said Harold Doherty, a board member of the Autism Society of New Brunswick"Now we are exporting our children because we can't care for them. This is Canada, not a Third World country.``We are supposed to have a decent standard of care for the sick and the vulnerable, but we don't." Liberal MLA John Foran echoed his concern. "This boy has done nothing wrong, is not the subject of any court order, but is in a penal institution." Provincial officials yesterday insisted critics are misrepresenting the nature of the boy's situation and that in fact the province has done everything it can to help him. "This individual is not being held, and is not incarcerated," said Lori-Jean Johnson, spokeswoman for the family and community services department. "He has housekeeping, bath and a separate entrance. We are just utilizing existing resources." Privacy laws prevent officials from discussing anything that would reveal the boy's identity, including details of his previous living situation and the whereabouts of his parents. This much is known: He suffers from a severe form of autism and is a ward of the state, under the guardianship of the minister of family and community services. He was living in a group home until recently, but became so violent that he was judged a danger to himself and others. At a psychologist's recommendation, he was moved to a three-bedroom apartment on the grounds of the Miramichi Youth Centre, a prison for about 50 young offenders. Two attendants from a private company watch the boy around the clock, at a cost to taxpayers of $700 a day. Johnson said she does not know any details of his care. Doherty said the jailhouse placement and move to Maine highlight the desperate need for better services for autistic children in New Brunswick and across Canada. He said staff at most group homes in New Brunswick aren't trained to deal with autism and don't understand the disorder. "If you don't understand autism, things can become very bad very quickly," said Doherty, who has a 9-year-old son with the disorder. "We have been pushing for (better facilities) in New Brunswick for several years. This is not a crisis that has popped up in the last two days. Residential care is a critical element for these people and it is not being provided." Johnson said the provincial system of group homes and institutions that care for children and adults with psychiatric disorders and mental disabilities works for most people. "We do have existing resources, but once in a while, there will be an exception. Here, we are looking at a very extreme case." The boy will be moved to an Augusta, Me., treatment centre at the end of the month, said Johnson. Jody Carr was a Conservative MLA at the time of the Toronto Star article and events described therein. He is not mentioned or quoted in the article speaking about the youth's plight. He did not at that time state that a Conservative government should not "send them away". Jody Carr was silent and did nothing to denounce decisions to send youths to prison facilities and to facilities out of the country when he sat as an MLA for the governing Conservatives. Now he had the nerve to dismiss the recommendations of an autism expert who has been intensely involved in helping autistic persons in NB and shaping the autism policies that have made NB a Canadian leader in providing preschool and school services for autistic children and youths with the political hack statement that his party would not send autistic adults away. Jody Carr is contradicted by his past record when he said nothing while his party did indeed send them away. If you care about an autistic child, brother, sister, grandchild or other family member or friend please do not vote Conservative on Monday. Most votes in the New Brunswick provincial election will be cast on the official election date next Monday, September 27, 2010. I took advantage of the beautiful last day of summer weather and walked to the advance poll in my riding of Fredericton-Nashwaaksis. 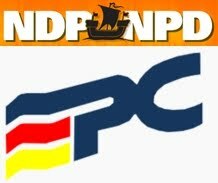 In this election there are five parties seeking to form the next provincial government ... the Conservative, Liberal, Green and NDP parties and a new party the Peoples Alliance of NB. In New Brunswick we have endured for many years a youth and adult autism residential care and treatment system consisting of psychiatric hospitals, general hospital wards, the grounds of a youth detention center, out of province and out of country facilities, inadequate group homes with poorly trained staffs and ... community inclusion cliches. Yesterday I voted for ...... the candidate and party most likely to work for a decent youth and adult autism residential care and treatment system. It was, as I said, a beautiful day yesterday in Fredericton-Nashwaaksis. Hopefully the voting on September 27 will result in a government that cares about autistic adults and works toward establishing decent adult autism residential care in New Brunswick. That would make for a very beautiful day. Where's Alward on Autism Services? New Brunswick is about to commence another election period. Now Premier Alward has been silent on autism during his 2010-2014 term but his officials have placed more restrictions on and made it more difficult for students with autism disorders to obtain alternative education settings outside the regular classroom by imposing the Gordon Porter Commandement #1 that all children belong in the regular classroom, all children must be placed in the regular classroom The Porter Commandment is totally contrary to all informed opinion and evidence based approaches to educating autistic children. In addition the Alward government is still banishing severely autistic adults and youth to the Psychiatric Hospital in Campbellton on NB's far northern border with Quebec, far from family members in the more heavily populated south and far from NB's autism expertise in Fredericton. Where's Alward on autism? The answer is clear as the 2014 election approaches : up to no good. 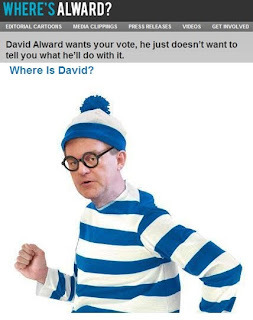 The New Brunswick Liberal Association has a web site and a twitter account which mocks Conservative leader David Alward by portraying him as the comic fictional character Where's Waldo. The Where's Alward effort aims to prompt New Brunswickers, with a touch of comedy, to ask hard questions about David Alward's positions. Since the site and twitter effort though the Conservative Party has issued its platform and has made a number of other policy statements. I don't know if it is fair or accurate generally to say that David Alward is absent when it comes to making clear statements of position on various issues. I do know that David Alward has made no statements at all about the 1 in 110 New Brunswickers with an autism disorder or what they can expect from an Alward Conservative government. Neither David Alward, nor any members of his party, have made public statements about what will happen to early autism intervention programs, Teacher Assistant autism training, or accommodation of autistic students's learning challenges with alternate learning environments ... all areas in which great progress has been during the first Shawn Graham Liberal government. Would a David Alward government roll back some or all of this substantial progress? Would his government ensure that progress continues to be made in early intervention and education for autistic children? No one knows because David Alward and his party are not saying. In the last year of the Graham government discussions moved forward on the serious issue of adult autism residential care and treatment. The discussions, with Kelly Lamrock in his role as Social Development Minister, centered around the adult autism residential care and treatment model described by autism expert Paul McDonnell, Ph.D., in the CBC site article Autism Services Needed for N.B. adults. It would be nice if the Alward Conservative Party would commit to the McDonnell model but that would be expecting much from a leader and a party which has no time to even mention the existence of a disorder which affects 1 in 110 New Brunswickers. I don't know if the New Brunswick Liberal portrayal of David Alward as missing on policy directions is fair or accurate generally. I do know that, with respect to autism disorders in New Brunswick, it is both fair and accurate to ask ... Where's Alward on Autism Services? The water came from municipal wells and wasn't specially treated for manganese. "We found significant deficits in the intelligence quotient (IQ) of children exposed to higher concentration of manganese in drinking water," said the study's lead author, Maryse Bouchard of the University of Quebec at Montreal's Centre for Interdisciplinary Studies in Biology, Health, Society and Environment. "Yet, manganese concentrations were well below current guidelines," she added in a release. The average IQ of children whose tap water was in the upper 20 per cent of manganese concentration was six points below children whose water contained little or no manganese, the researchers found. The study looked at 362 children aged six to 13. The amount of manganese from tap water and food was estimated, based on the results of a questionnaire. Each child was also assessed with a range of tests of cognition, motor skills and behaviour. Factors such as family income, maternal intelligence, maternal education and the presence of other metals in the water were taken into account. Even then, few environmental contaminants have shown such a strong link with intellectual ability as manganese, said study co-author Donna Mergler, also at UQAM. Intellectual disabilities, as reported by authorities such as the Canadian Psychological Association and the US CDC, are present in 75-80% of persons with Autistic Disorder and 41-44% of all persons with Autism Spectrum Disorders generally. 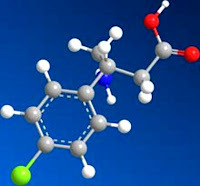 It would seem worthwhile to research and explore the possible relationship between manganese and autism disorders. Autism in NB Under an Alward Conservative Government: Rough Trail Ahead? I am not convinced that the polls, and the media echoing those polls, are correct in predicting a majority government under the David Alward Conservative Party of New Brunswick. If they are though the next 4 years could see New Brunswick children and adults with autism traveling on a very rough trail. There is nothing in the party platform or the public comments of Mr. Alward or Conservative party members to indicate any knowledge of the seriousness of autism disorders or the increasing numbers of persons, now 1 in 110, who carry an autism disorder diagnosis. During an election period priorities are set, in the form of promises made, which will mark the path ahead. Unfortunately for New Brunswick preschoolers requiring autism specific early intervention, students requiring accommodation for the realities of their specific autism condition, and adults with autism still living in psychiatric hospitals and general hospital wards, their needs have not been deemed worthy of comment by the Alward Conservative team members. Even more ominous for New Brunswickers with autism at least two possible members of an Alward Conservative government would be Jody and Jack Carr, the brothers with close ties to the New Brunswick Association for Community Living. The NBACL has done much good work for many with disabilities in New Brunswick. But it actively opposed the specific accommodations for New Brunswick students with autism which have been put in place in New Brunswick and has not followed an evidence based approach to accommodating autism specific needs. NBACL philosophy dictates that the best place for all students, regardless of the challenges or disabilities of the individual child, and contrary to research and experience of some severely autistic children, is in the mainstream classroom. NBACL has steadfastly opposed the type of accommodations made for many autistic children, including my son Conor, during the last four years. Conor loves attending his neighborhood school where he can go to general areas of the school but receives his autism specific ABA based instruction in a quieter area where he can focus on his learning and is not overwhelmed by the demands of the mainstream classroom. This type of reasonable accommodation was opposed by the NBACL organization in which the Carr family has been very prominent. Hopefully such autism accommodating education gains will not be jeopardized if the pundits prove correct and an Alward-Carr government is elected. "Our greatest need at present is to develop services for adolescents and adults," McDonnell writes. "What is needed is a range of residential and non-residential services and these services need to be staffed with behaviourally trained supervisors and therapists." Among the reforms that the UNB professor is calling for is an enhanced group home system where homes would be connected to a major centre that would develop ongoing training and leadership. The larger centre could also offer services for people who have mild conditions. But, he said, it could also be used to offer permanent residential care for individuals with more severe diagnoses. "Such a secure centre would not be based on a traditional 'hospital' model but should, itself, be integrated into the community in a dynamic manner, possibly as part of a private residential development," he writes. "The focus must be on education, positive living experiences and individualized curricula. The key to success is properly trained professionals and staff. " The McDonnell model of adult autism residential care and treatment is exactly the type of concept that was being discussed with the Liberal government of Shawn Graham. The Conservative party has shown no inclination in the current campaign to engage in any meaningful discussions about autism disorders. The past history of prominent Conservative candidates Jody and Jack Carr promises more community based philosophy and cliches but no understanding of, and no willingness to reasonably accommodate, the specific needs of those with autism disorders. If the pundits are correct there could be a rough trail ahead for children, students and adults with autism disorders and their families. No Room for Adult Autism Residential Care on Conservative, NDP Agendas? For the Conservatives and NDP it seems there is no room on the political lifeboat, in troubled fiscal times, for adults with autism disorders. There has been no public mention by these parties of the existence of persons with autism in New Brunswick. This is no small point. The US Center for Disease Control has estimated that 1 in 110 people have an autism spectrum disorder. Yet neither the Conservative Party nor the NDP have made mention on any public media site that I can find of the existence in New Brunswick of persons with autism disorders or what lies in store for them should the NDP or Conservatives form the next government. Both parties have focused on balancing the provincial books as their primary goals and while some promises have been made neither has mentioned persons with autism. The last several years have seen very substantial gains made for preschool children and students with autism disorders in New Brunswick. Autism expert Paul McDonnell has praised New Brunswick as a leader in provision of autism services for preschool and school age students with autism. But Dr. McDonnell has also pointed out that progress has not happened for adults with autism. In New Brunswick adults with autism have lived on hospital ward, in psychiatric hospitals and have been shipped out of the province and little has improved over the past 10 years. Dr. McDonnell has pointed out that we need to invest in adult autism residential care in NB. The Liberal's Kelly Lamrock had already acknowledged the need to work on autistic adult residential care. Both the PANB and the Green Party of NB have confirmed they would address the issue. The NDP and the Conservative Party are silent. I hope I am wrong but it seems there is no room on the Conservative or NDP agendas, at least during this election, for discussion of adult autism residential care. 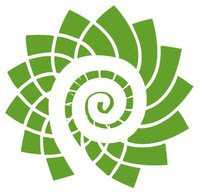 On FaceBook The Green Party of New Brunswick has answered my question ``Does Green Party support autism expert advice to invest in adult autism residential care in NB?`` with an emphatic YES! "In the past we have had the sad spectacle of individuals with autism being sent off to institutional settings such as the Campbellton psychiatric hospital, hospital wards, prisons, and even out of the country at enormous expense and without any gains to the individual, the family or the community," he said. "The focus must be on education, positive living experiences and individualized curricula. The key to success is properly trained professionals and staff." 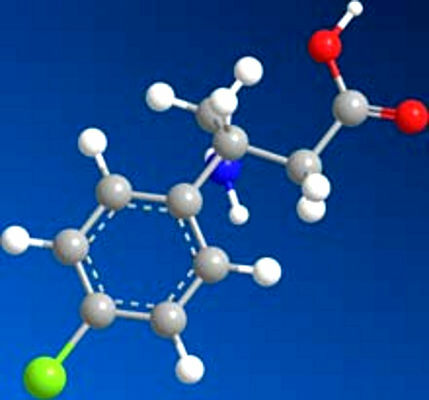 "Autism is a disorder that affects numerous children around the world, but now experts appear to be closing in on the molecular agents that appear to underlie at least a portion of all autism cases. Investigations have thus far been conducted on lab animals, cadavers, and even in a small clinical trials, and the results are encouraging. The team behind the researches however draws attention to the fact that the work is still in its earliest days, and that even the results are preliminary. But experts express their hope that one day they will be able to identify these troublesome molecules, and develop new cures based on them. The main idea about autism that is getting support from the new investigations is that the condition appears due to a lack of chemical regulations in synapses. These are the small spaces between neurons or nerve cells, through which electrical signals are being transmitted from one cell to the next via chemicals known as neurotransmitters. The latest clinical trial to support this idea was conducted on about 25 children, all of which were aged 6 to 17. Cambridge, Massachusetts-based Seaside Therapeutics conducted the investigation ...."
1/ All autistic children have access to 4 hours a day of ABA training through to kindergarten. 2/ All autistic children have access to 1-2 hours a day of ABA training through all school years until graduation either from high school or university as part of their standard school day. 4/ The creation of both an Adult care facility and a Youth care facility be built in Fredericton in conjunction with the Stan Cassidy Center which will care for those Autistic individuals who can no longer be cared for by the normal caregivers of these individuals. This care should focus on multiple facets but should include ABA training to create the possibility that even adults could potentially be helped by ABA be given that opportunity. 5/ All autistic individuals even after graduation should have access to ABA training for short term or long term if there ability to function properly in society diminishes or disappears for any reason. 7/ As it has been determined by various parents of autistic children that not in all situations does full integration work with ALL autistic children, A program should be put in place that would allow parents and resource workers as well as TA’s to work together to create a modified part time integrated program that would better meet the needs of the individual student if the situation warrants this. 8/ changes to the disability benefit to allow staggering levels of benefit that recognizes the level of care required as well as the requirements to replace property increasingly due to high increase in breakage due to rocking behaviours etc common amongst autistic children. 9/ Summer autism camps during school breaks should be made available to allow children the ability to socialize with those like themselves amongst trained carers. It should be realized that both the Liberals and Conservatives were made aware as far back as 2005 of the necessity of a Care Facility in this province when it was made public during the Conservative years of that time that we were being forced to send those individuals with autism that required long term care to Maine to be housed there as we had no facilities in this province. The conservatives of the time had no interest in developing a treatment center. During this period the Liberals were vocal in their disapproval of the fact our citizens were being cared for out of country due to no facilities in this province however their dedication to this file was shown during the recent 4 years when no attempt at creating a long term care facility was done regardless of repeated requests. John Foran was aware of a case in 2005 where a youth was housed at the Miramichi Youth Centre under the direct care of 2 carers from a private company at the cost of 700$ a day because we did not have the facilities in this province to properly house him and from there he was transferred to Maine because the Conservatives would not address this lack of facility. And yet during the entire 4 year mandate of the liberals not one thing was done to change this lack of care centres either. PANB is the only party that will push for a drastic improvement to how these autistic individuals in our care are treated." "For McManmon, self-knowledge came years after he founded the program. It was his staff that pointed out that he probably had Asperger’s, which explained his vast energy, his entrepreneurial skills, his trouble managing personal relationships. It also explained his interest in 1984 — when kids with social disabilities were getting deinstitutionalized — in finding ways to ease their transition to independent life." So there you have it. For Michael McManmon, who "probably" has Asperger's , and for Boston Globe columnist Joanna Weiss who offers his opinions without contrary perspective or context, "autism" is just a social thing. Questions about cause and cure of autism are torrid and flashy bits of celebrity studded nonsense. They are not questions that agonize parents of children with actual Autistic Disorders who live with their child's self injury, danger of being lost from ordinary life realities like automobile traffic, or the intellectual disability which characterizes the "vast majority". In Weiss World those with "autism" do not end up living in institutional care. For Joanna and Michael autism is just some social awkwardness that can be addressed with a journey of inner discovery. From this article it seems that Micheal McManmon might or might not have Asperger's. From this article it seems that Joanna Weiss might or might not be a fair and competent journalist. 4 days ago via Mobile Web · Reply · View Tweet "
Over the last 4 years the Liberal government honored a commitment by Premier Graham to provide 4 years of UNB-CEL Autism Intervention Training to classes of approximately 100 teacher assistants and resource teachers a year over the objections of some senior Education officials, who actually knew little about autism. They also faced opposition from some union officials who opposed autism specfiic training for TA's. I was involved in many of the discussions and I can tell you from personal knowledge that it was a very tough fight to do the right thing for New Brunswick's autistic students. I can tell you from very direct, personal involvement that Kelly Lamrock and the Shawn Graham Liberal government honored their commitment and put the interests of NB's autistic students ahead of vested adult interests. When Kelly Lamrock says that a Liberal government will work with the parents to address the address adult care including community based residential care this father of a severely autistic 14 year old son, who has been involved very intensely with the changes that have made New Brunswick a leader in pre-school intervention and education of autistic children says ... I believe Kelly Lamrock and a Liberal government will keep their word. I believe it because I have already seen them do it. Adult Autism Care in New Brunswick: If Not During This Election WHEN? "If you don't understand autism, things can become very bad very quickly. We have been pushing for (better facilities) in New Brunswick for several years. This is not a crisis that has popped up in the last two days. Residential care is a critical element for these people and it is not being provided." It has been five years since Canadians learned that an autistic youth who had committed no offence was being housed on the grounds of the Miramichi youth correctional facility (see article following) solely because there was no adequate accommodation for him in New Brunswick while he waited admission to the Spurwink facility in Maine. A residential care and treatment facility for autistic youths and adults still does not exist in New Brunswick. If the group homes are not adequate for the more severely autistic they are either sent outside of the Province, sent to the psychiatric hospital in Campbellton or in one case at least in Saint John live, at least temporarily on a hospital ward. In some cases severely autistic adults live in their parents home, sometimes wearing protective gear and with some assistance. But no decent residential treatment facility exists for New Brunswick's most severely autistic youths and adults. If we do not discuss adult and youth residential care during this New Brunswick election WHEN will we ever get around to it? WHEN will severely autistic youths and adults have decent residential care and treatment in New Brunswick? The centre, run by a non-profit group called Spurwink, specializes in dealing with autistic adolescents. A Spurwink representative did not return a phone call from the Toronto Star. Provincial officials could not detail the cost to keep the child at Spurwink, nor did they have information about why he's being sent to Maine, rather than a Canadian facility in another province. Autism is NOT only a childhood disorder. Autistic children grow up and become adults and many will not lose entirely their autism challenges. While recovery has been reported in some credible agencies by means of intensive early intervention and addressing related biomedical issues many autistic adults will require assisted living and some will require secure residential facilities and access to specialized services and treatments. In New Brunswick both autism advocates and government began to make progress in providing autism services first to preschoolers and subsequently to autistic school children. But little substantial progress has been made in provision of decent residential care to autistic adults. The group home system in New Brunswick is not a success. As a lawyer I have represented autistic youths in the Courts in New Brunswick who could not function in New Brunswick group homes. I have seen cases where such youths were charged as a result of alleged assaults arising out of confrontations between youths with autism or Aspergers and untrained staff. I visited the Centracare facility in Saint John and the Campbellton psychiatric hospital in Saint John where some of our most severely autistic adults have resided. I know that some have been sent out of the country for periods of time to facilities in the United States. I received an email from a parent in Saint John whose autistic child essentially lived on a hospital ward. Some autistic children will benefit greatly from the ABA services now available in New Brunswick, services which were not widely available 10 years ago. Some will live independent lives but others will not. If we do not focus, if we, government and parents, do not advocate now for autistic adults and make it a top autism priority more autistic children will grow up and live on hospital wards in Saint John and Campbellton. Adult autism residential care is a long overdue priority for autism advocacy and services. If we do not focus on the provision of adult autism care now it will not get done. More of New Brunswick's autistic children will grow up and live their lives in conditions no one wishes for their children. Parents, grandparents, family members and friends of autistic children and adults in New Brunswick. People are knocking on your door during this election. They are asking for your vote. Tell them we need a modernized residential care system for autistic adults. Better still don't wait for them to knock on your door. Email them, FACEBOOK them, tweet them, write them. Call their campaign office. But let them know that adult residential care is New Brunswick's top autism priority. Let's focus. Let's make it happen.